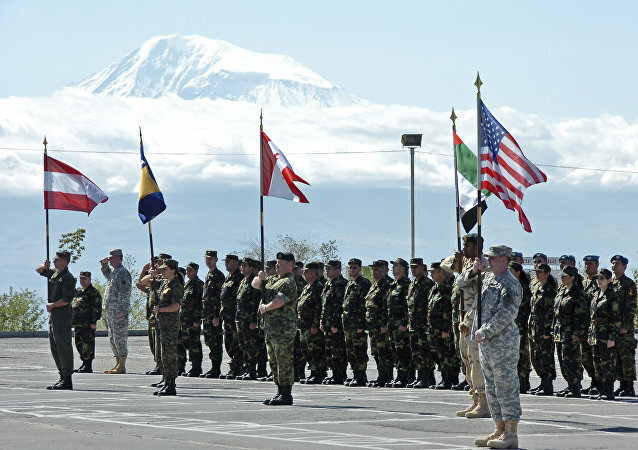 YEREVAN (Sputnik) - Acting Armenian Prime Minister Nikol Pashinyan said Monday his country had no plans to join NATO. YEREVAN (Sputnik) - The snap parliamentary elections were held in Armenia on Sunday for the first time in the country's history. Earlier in the day, CEC Chairman Tigran Mukuchyan announced that the turnout in the elections totaled 48.63 percent. 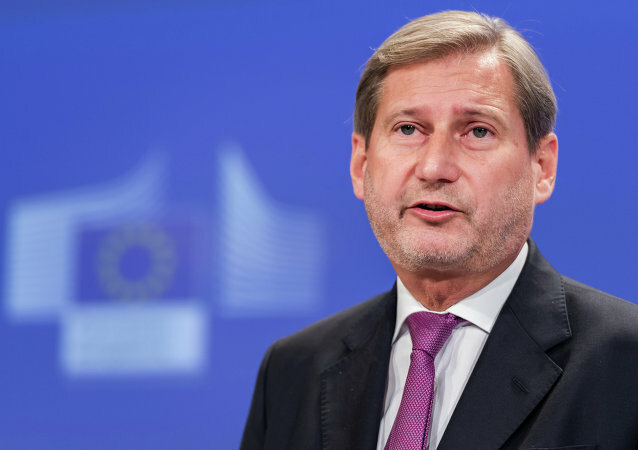 YEREVAN (Sputnik) - A snap parliamentary election will be held in Armenia even if the formerly ruling Republican Party of Armenia (RPA) is against it, Armenian Deputy Prime Minister Tigran Avinyan said Sunday. YEREVAN (Sputnik) - Armenian Prime Minister Nikol Pashinyan called on Thursday to stop all protests in Armenia beginning from 15:00 local time (11:00 GMT). YEREVAN (Sputnik) - Prominent US Economist Daron Acemoglu, the professor at the Massachusetts Institute of Technology (MIT), has agreed to provide his assistance in restoring Armenia’s economy after the country was hit with a wave of anti-government protests, newly-elected Armenian Prime Minister Nikol Pashinyan said on Sunday. The ruling Republican Party of Armenia (RPA) has declared that it will ensure the election of opposition leader Pashinyan as the country's prime minister. YEREVAN (Sputnik) - Nikol Pashinyan, an Armenian opposition leader and a candidate for the post of prime minister, on Monday said that he had invited Serj Tankian, the lead singer of the System of a Down (SOAD) band, who is of Armenian descent, to move to his historical homeland. 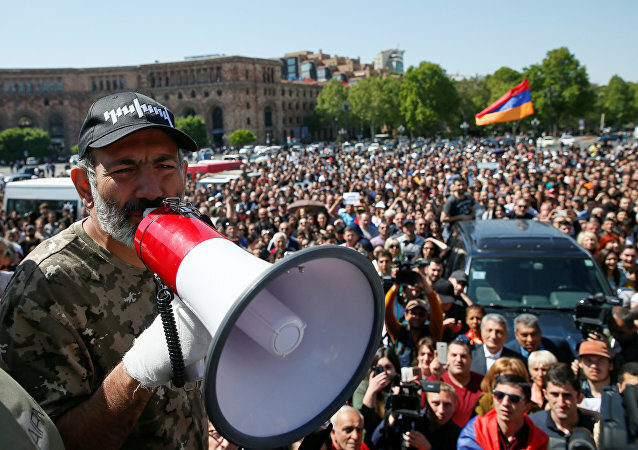 YEREVAN (Sputnik) - The Armenian National Assembly's press service said in a statement on Thursday that opposition figure Nikol Pashinyan, who has been leading protests in the country, has been re-nominated for the post of the country's prime minister. 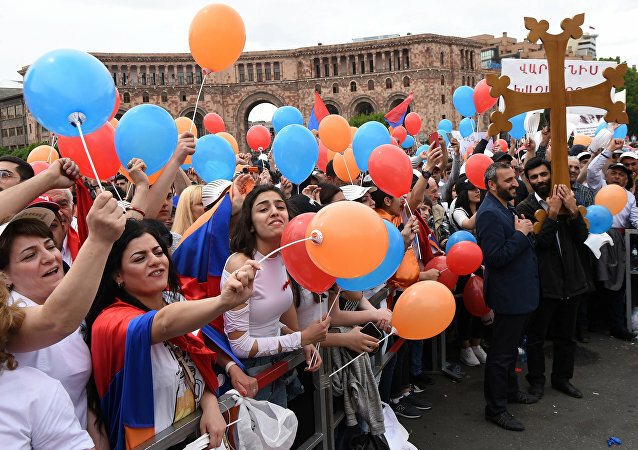 YEREVAN (Sputnik) - Supporters of Nikol Pashinyan, an Armenian opposition figure and the only candidate for the post of country’s prime minister, told Sputnik on Tuesday they would rally at Yerevan’s central Republic Square until their leader’s victory.